Designed for adventure, this jacket is full of features for protection on your travels, including insect protection, SPF, and moisture control - handy and effective in hot & cold weather destinations. Features: ⊙ Made from 100% polyamide fabric with built-in NosiLife insect protection; ⊙ SolarShield UPF50+ sun protection; ࣻ Wash & Wear quick-drying material; ⊙ Moisture control properties for additional comfort in warm climates; ⊙ RFID Shield to prevent your credit card being scanned using Radio Frequency Identification; ⊙ Ten pockets for adventure convenience - 2 Bellowed stud fastening lower with zipped side handwarmers, 2 Stud fastening chest, 1 Jetted zip chest, 1 Zipped sleeve, 1 Passport rfid inner, 1 Zipped inner. 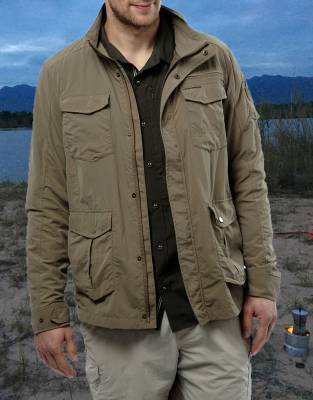 Designed for adventure, this jacket is full of features for protection on your travels, including insect protection, SPF, and moisture control - handy and effective in hot and cold weather destinations. A warm layer is a safari essential and, trust us, you will use it on very cold early-morning and evening game drives on open game-viewers! Offering adventure styling and a range of features for outdoor and travel protection, this is sure to become your go-to jacket on safari and every day. 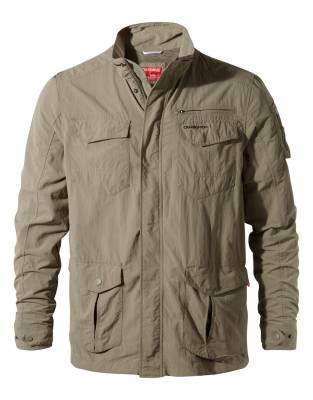 With warm-weather travel in mind, this jacket is perfectly suited to safari. Offering moisture wicking properties to keep you dry, enjoy all the benefits of outdoor comfort with built-in insect repellent and SolarShield UPF50+. Ten pockets - including a zipped security pocket - ensure you have plenty of space for all of your gear in the field. For added travel convenience, this jacket also has RFID Shield. Travelling with contactless credit cards and chipped passports leaves you vulnerable to misuse and identity theft through Radio Frequency Identification. 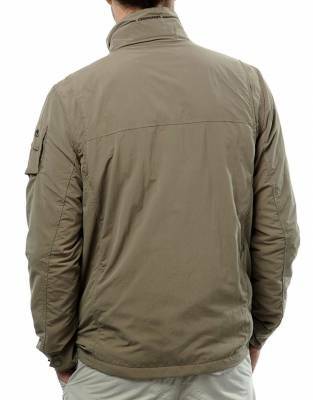 The special lining of this jacket blocks radio signals and prevents scanning without your knowledge - premium technology for the modern traveller. ⊙ MATERIAL: Made from 100% polyamide fabric with built-in insect repellent and SPF50+. 100% polyester lining.